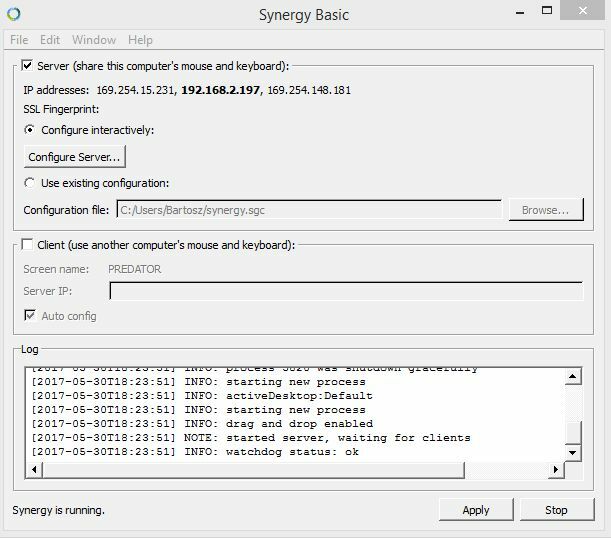 I just purchased Synergy and although I know that it only supports MacOs 10.9 or higher I wanted to ask if there is an older version that runs under 10.6.8. I want to connect my Windows 8 PC (Server) with my 10.6.8 MacBook Pro (Client). I also tried v. 1.8.5 which supports 10.7 and 10.8 hoping that it might help and at least I could open it but it still does not connect to my pc. Could you please help me somehow! Hi @Bartosz Bludau. v1.8.5 could work with MacOS 10.6.x. Are you getting any errors when trying to connect to your PC? I attached a screenshot of the log. That is all I get. Seems like it tries to build up a connection each second. 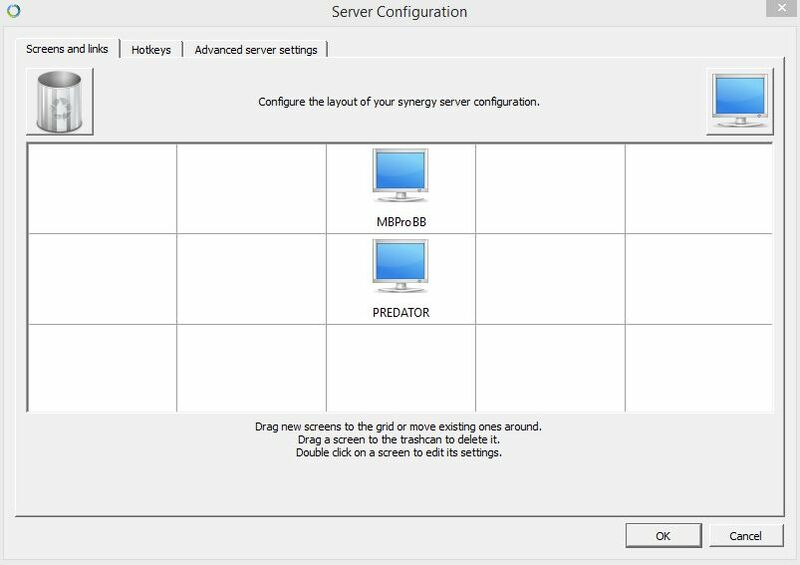 On my PC the mac is recognized directly and I was already able to choose the desktop position but my mac doesn't connect somehow. Thank you for your help. I am so looking forward to using this great tool. That means that your libcurl version is outdated. 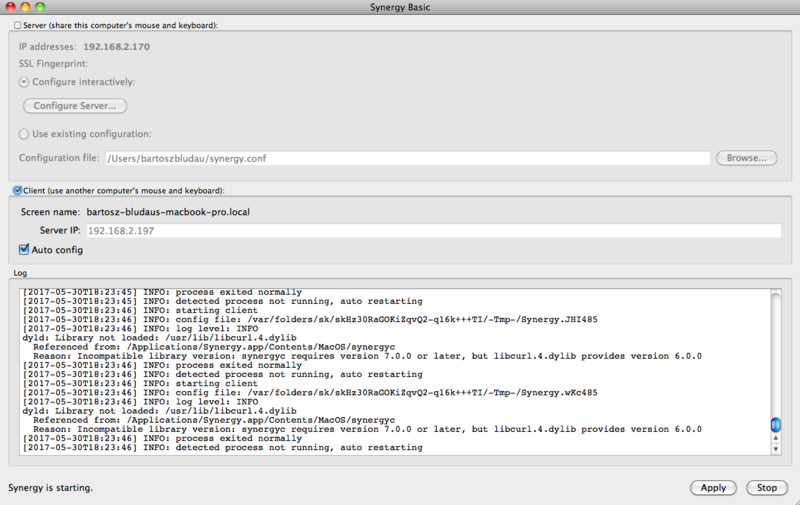 Synergy requires libcurl version 7.0.0 and up for it to work. Please update it for you to be able to use Synergy. Now that it is updated, what error are you getting when trying to connect? Can you post a screenshot of the whole Synergy interface on both of the machines please? 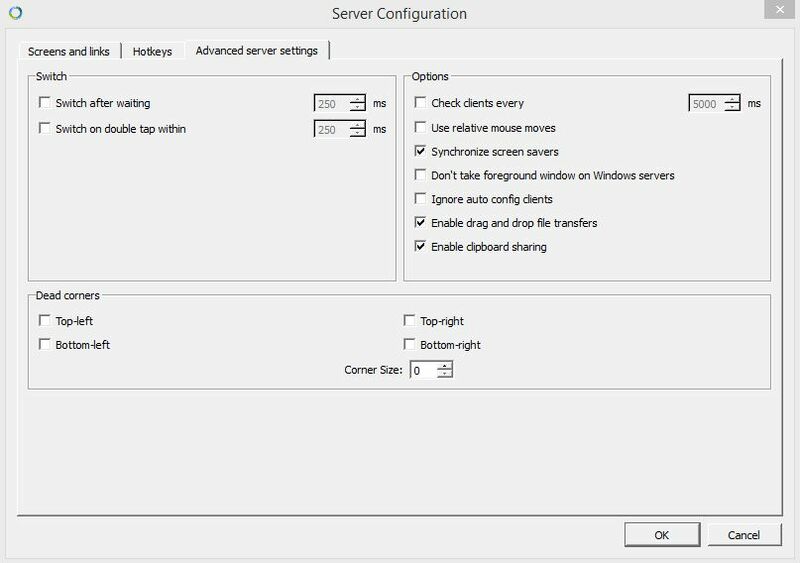 Can you uncheck the Auto config box on your client machine and click apply? ok, windows is showing me now "zeroconf client detected: ..."
so do you have another idea? Still trying to enable a connection here. Can you rename your Mac machine to something that doesn't have the ".local" and a little bit shorter? 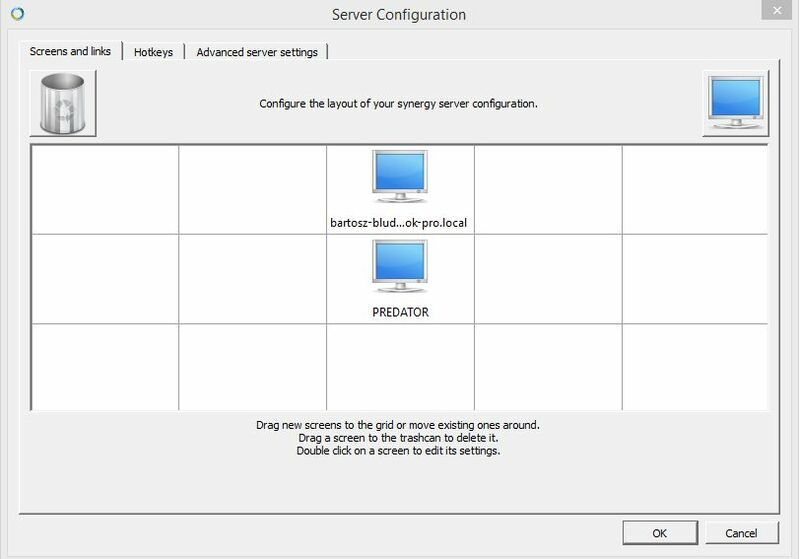 then edit the screen name on the server configuration interface to reflect the changes you made. ok I did. What next? You can try to connect them @Bartosz Bludau. I did, but it had no effect unfortunately. It still does not work. Maybe it has something to do with the rights management under "sharing" in system preferences on the mac? Can you elaborate on that one? Are you still getting the same error? Can you post screenshots of your machine's Synergy interface after doing that?